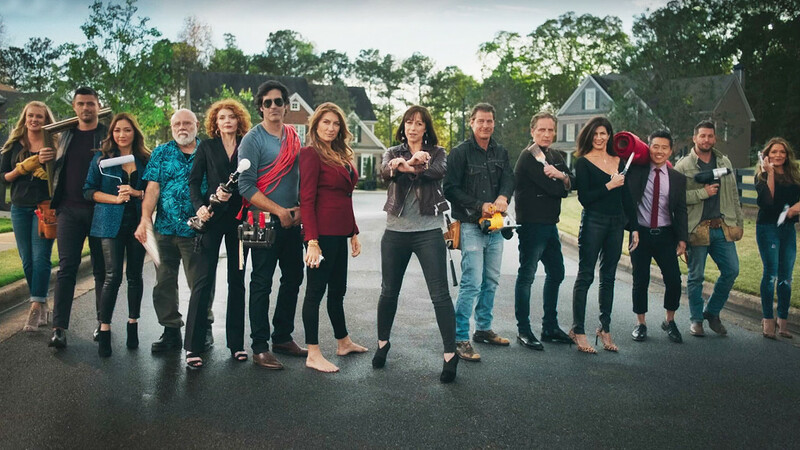 You may be seeing double in the return of “Trading Spaces” (TLC, 8 p.m.), the granddaddy of the home improvement shows, returning tonight a decade after it went off the air. Not only has the cast roughly doubled to 16 (while still including old favorites like Paige Davis, Ty Pennington, Vern Yip and Frank Bielec), but the premiere takes up two hours (the first devoted to catching up since it’s gone) And the standard budget to create the remodeling has been doubled as well. “The show originally was set at $1,000 budget per room,” the ever-perky Davis told reporters at the TV Critics Association winter press tour. “But with inflation, we’ve accounted for that and now have it at $2,000 per room. That budget was set 20 years ago, so it’s important that it was raised. “But I think it still represents a manageable and tangible budget for people who are looking to redo rooms in their home. I think one of the best things about ‘Trading Spaces’ long ago was that it represented attainable, relatable designers and made interior design accessible to middle America as opposed to just an upper echelon of society,” Davis said. “And it’s a great buffer to fix whatever we do.,” Pennington piped in. The show has always been about being resourceful and doing the most creatively for the money, by using what’s on hand, says Davis, who has spent her years away from the show starring in Broadway and touring musical productions. Besides, Yip added, “We live in a completely different time than when ‘Trading Spaces’ first launched. People have so much more at their fingertips. They’re, much more educated about design than when we started, because everybody’s on Pinterest. There was controversy tied to the show with the return of Carter Oosterhouse to the show after accusations of sexual misconduct. He was not at the TCA panel. This entry was posted in What's On TV, Winter Press Tour 2018. Bookmark the permalink. Both comments and trackbacks are currently closed.